When it comes to getting around in a new country, it can be a very different experience compared to driving at home. Whether you’re jumping on a bus or you’re navigating the roads yourself, there can be a big difference in the time it takes to get to different locations and the local interpretations of the various driving laws can make things a little more complicated. There are a number of different driving and traffic customs that you can find in Cyprus, which will not only affect how you drive in the country, but also affect freight forwarding or other services that require use of the roads. There are a number of driving regulations in Cyprus that are similar if not identical to driving regulations in almost all European counties. However, driving regulations are not strictly enforced and therefore behaviour whilst in traffic and on the roads can be somewhat intimidating to new drivers. 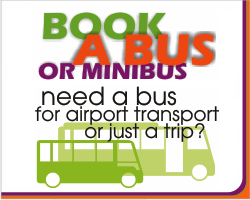 Public transport including the Public Transport Bus Service in Cyprus is impressive, with night buses, rural buses and intercity buses around the airports and beyond being some of the easiest forms of travel around the country, more so than driving. If you are more than 0.071% over, you could be subject to prison or a fine between €150 and €400 alongside 3-6 points on the license. The speed limits in Cyprus are clearly marked and these are very similar to many other European countries, with speed limits being considered in kilometres per hour. This is also important for highly experienced freight forwarders to know if you are shipping goods to the country as this could interfere with the expected arrival times of transported cargo travelling through Cyprus. Cyprus is a beautiful country to travel through and whether you’re relocating or simply visiting for a few days on business, you’ll find it a wonderful place to see. If you are moving to the country, then it is important to know all of the traffic regulations and the behaviour of drivers in the country. It is also important for anyone you are doing business with in the country to know this information, such as a freight forwarder if you are shipping goods or relocating. If you are on holiday however, it may be more convenient for you to use public transport in order to get around the country. Either way, understanding the traffic customs in the country can be exceptionally beneficial.